VietPress USA (Mar. 11, 2018): The red Eurocopter AS350 helicopter, which officials said was operated by Liberty Helicopter and privately chartered for a photo shoot, was carrying six passengers when it went down. NYPD and FDNY divers pulled three of the passengers from the water. Those victims were in critical condition at area hospitals, officials said. 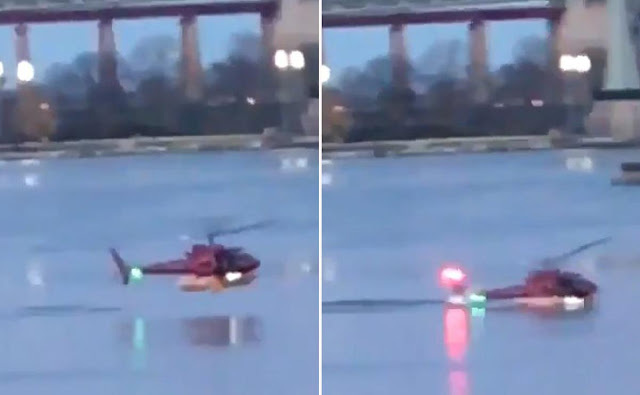 A bystander captured video of the helicopter's descent into the water. The footage shows the final seconds as the chopper's propellers strike the glassy river's surface, its engine sputtering. The helicopter crashed into the cold water somewhere between East 86th and East 96th Streets on Manhattan's Upper East Side about 7 p.m., local and federal authorities confirmed. After impact, the chopper floated south before emergency responders could bring it to a halt a mile or two from where it initially went down, a police officer told ABC News. Five people died after a helicopter crashed into Manhattan's East River Sunday evening, authorities said. 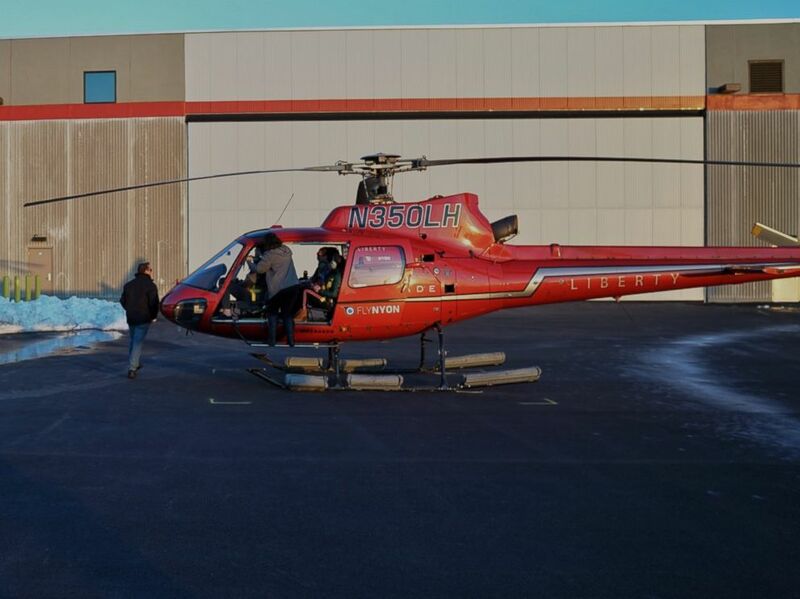 The red Eurocopter AS350, which officials said was operated by Liberty Helicopters and privately chartered for a photo shoot, was carrying six people when it went down. The pilot "freed himself" and was cut out of a harness by personnel on an FDNY boat, Fire Department of New York City Commissioner Daniel Nigro said. Nigro said the pilot "was OK" and taken a local hospital for observation. The passengers were "tightly harnessed" in helicopter, which was submerged upside down, Nigro said. 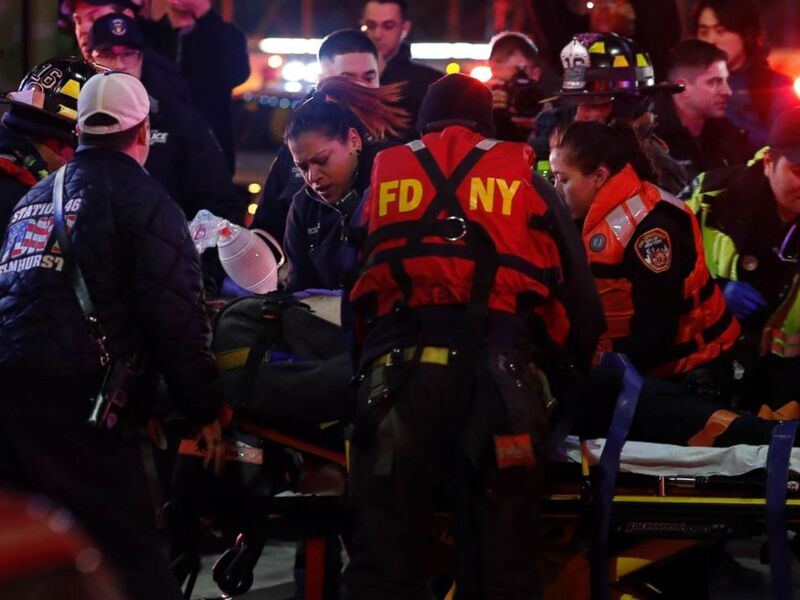 A helicopter crash victim is transferred by Fire Department officers at 34th Street Ferry Terminal in Manhattan, March 11, 2018. 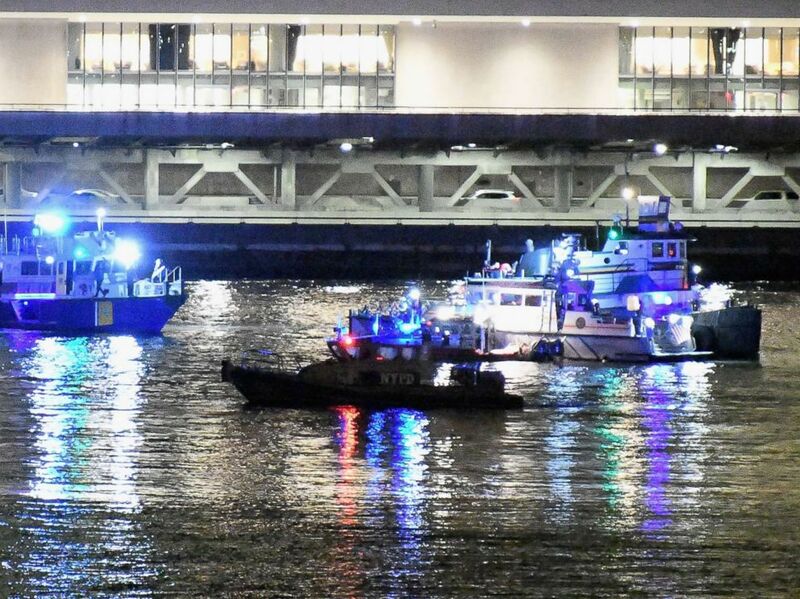 The helicopter crashed into the cold water somewhere between East 86th and East 96th Streets near Manhattan's Upper East Side around 7 p.m., local and federal authorities confirmed. After impact, the chopper floated south before emergency crews could bring it to a halt a mile or two from its initial point of impact, officials said. The pilot was experiencing engine failure just before he lost control, sources said. An unidentified eyewitness was dining at a restaurant when she spotted the red helicopter diving into the water. "We were ... having dessert and noticed a red helicopter going full speed toward the water," she told ABC station WABC. "It almost looked very surreal, and next thing we know it's approaching the water slowly and then it just completely crashed." Afterward, she said members of the Coast Guard arrived in an attempt to help the helicopter passengers. "We're just hoping they survived," she added. 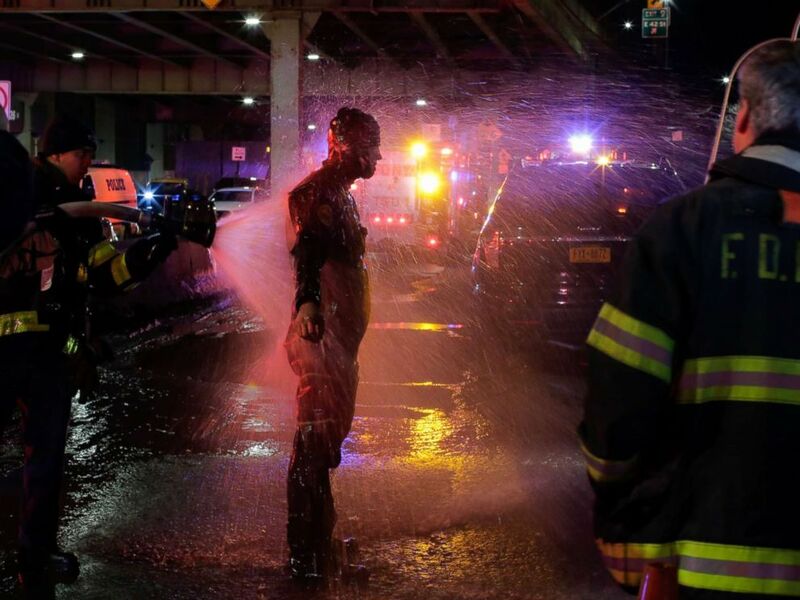 A rescue diver is sprayed with water after attending a call of a helicopter crashed in the East River on March 11, 2018 in New York. The Federal Aviation Administration tweeted that it was investigating the crash and added that the helicopter is "reportedly inverted in the water." It added that the National Transportation Safety Board would lead the investigation. Police and fire divers braved the 50-foot-deep river, which was about 40 degrees and moving at a speed of 4 mph. Two of those who died were pronounced dead at the scene, Nigro said. 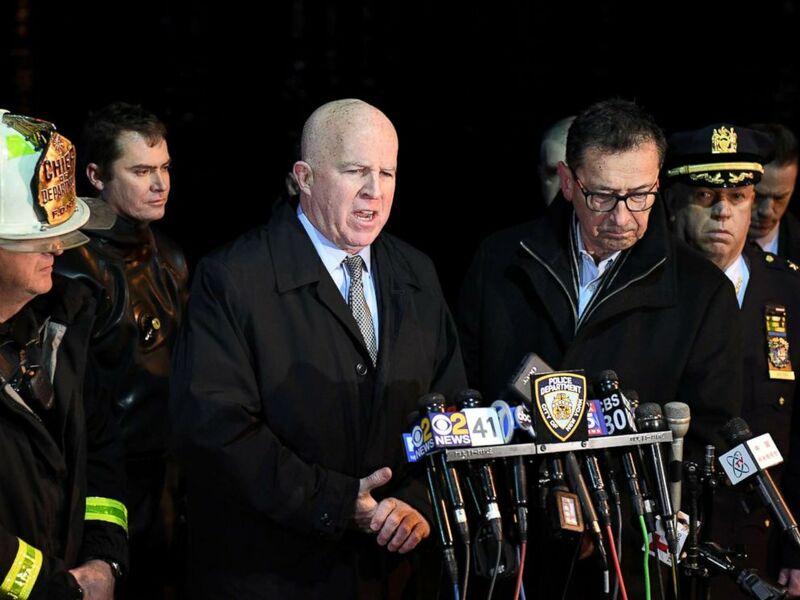 New York Police Department Commissioner James O'Neill said there were "dozens of calls" reporting the helicopter crash. 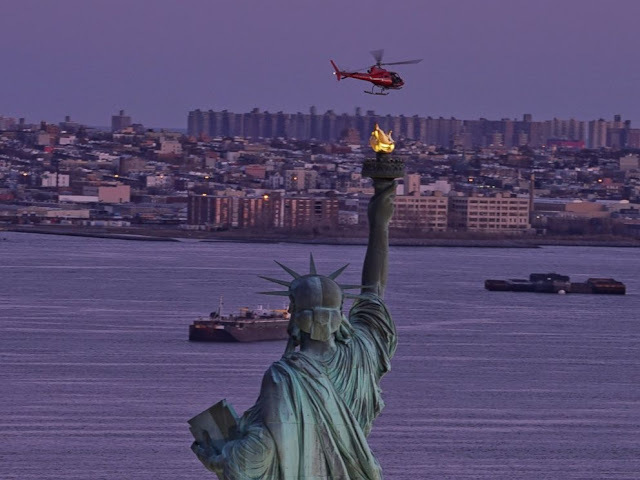 Soon after the helicopter went down, a series of dispatches captured in real-time over FDNY's scanners by Broadcastify.com broke down the initial emergency response. 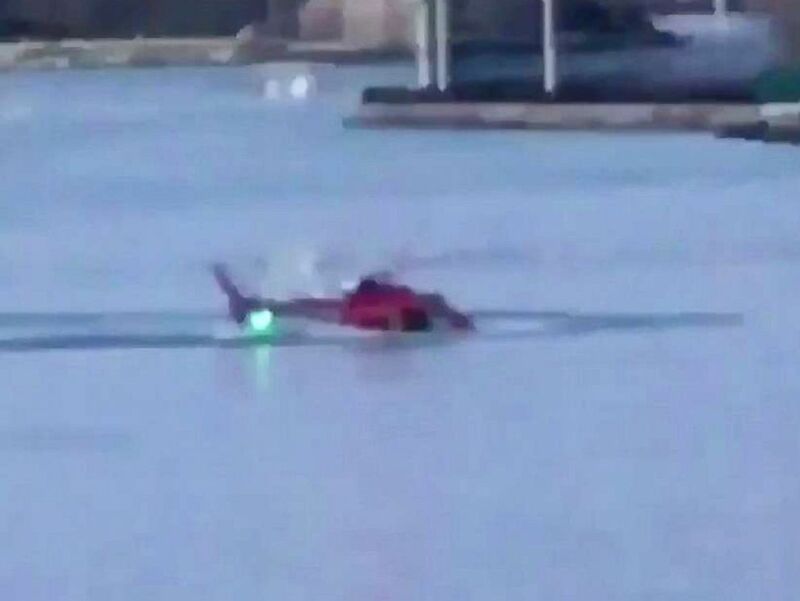 A helicopter crashed in New York City's East River, March 11, 2018, in a still image from video posted to Twitter. 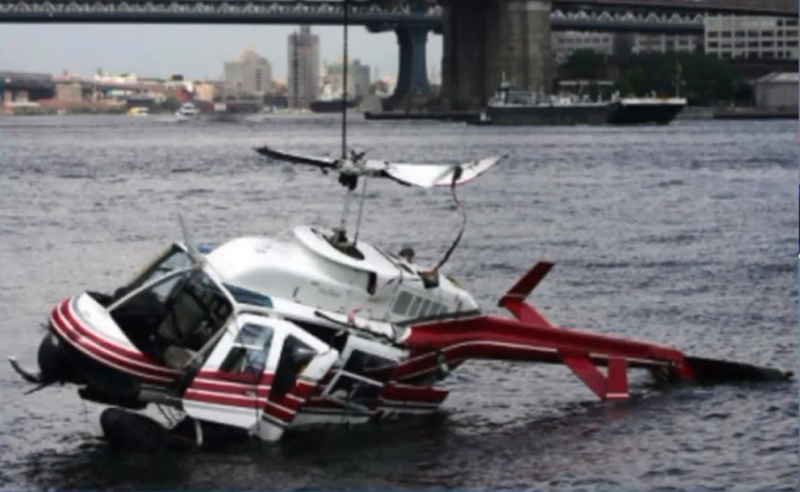 "We got reports from NYPD that a helicopter is upside down in the water," a dispatcher stated. 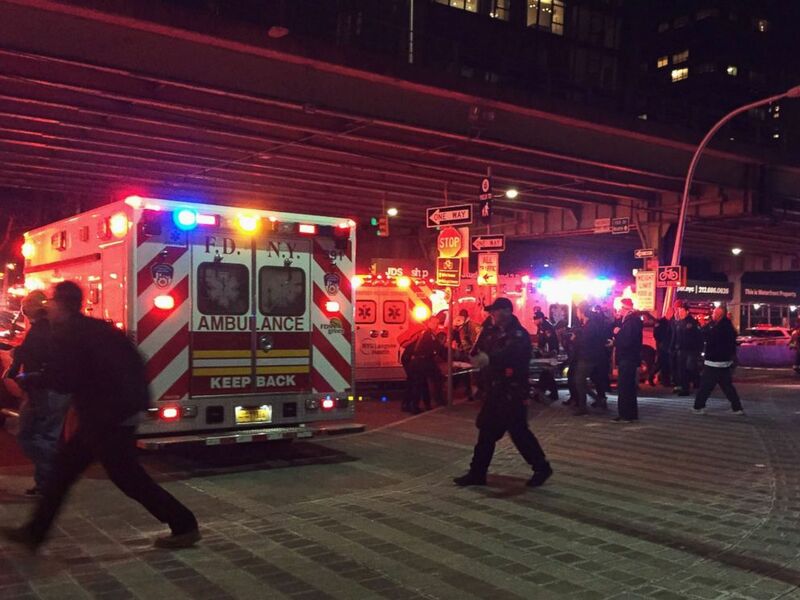 Then, divers from both the NYPD and FDNY raced into the water, according to the dispatcher. O'Neill also praised the efforts of a private tugboat, which arrived on the scene before first responders. "I want to thank the crew from the tugboat," O'Neill said. "They were the first boat on the scene." He also confirmed that emergency crews arrived at the crash scene by both air and sea within five minutes. Mayor Bill de Blasio was briefed about the crash but not at the news conference. 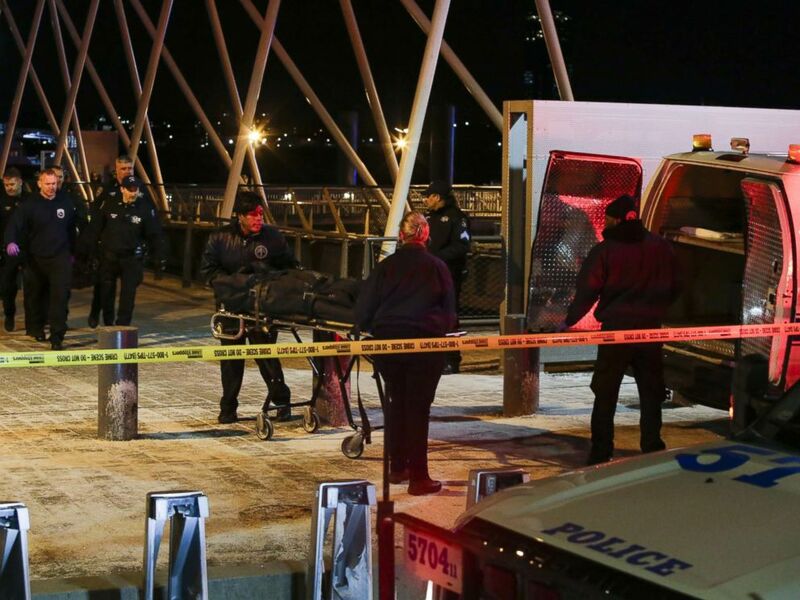 NYPD officers remove bodies from the scene of a helicopter crash in the East River on March 11, 2018 in New York. According to FlightRadar24.com, a website that tracks flight patterns, the helicopter -- tail number N350LH -- took off from Kearny, New Jersey. Passengers load into a chartered helicopter that later crashed into the East River in New York, March 11, 2018. It flew by the Statue of Liberty -- where someone aboard another chopper snapped photos of the chopper -- before heading toward the East River. 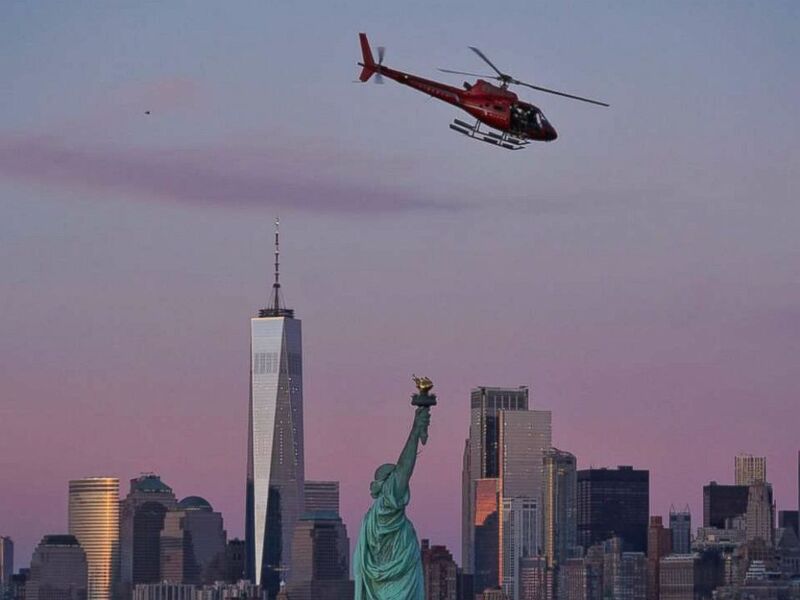 A chartered helicopter that later crashed into New York's East River flies past the Statue of Liberty in New York, March 11, 2018. It flew over the Brooklyn Bridge, according to the radar path, before losing contact and crashing in the river. The National Transportation Safety Board is sending members to investigate, and it expected to hold a news conference on Monday. 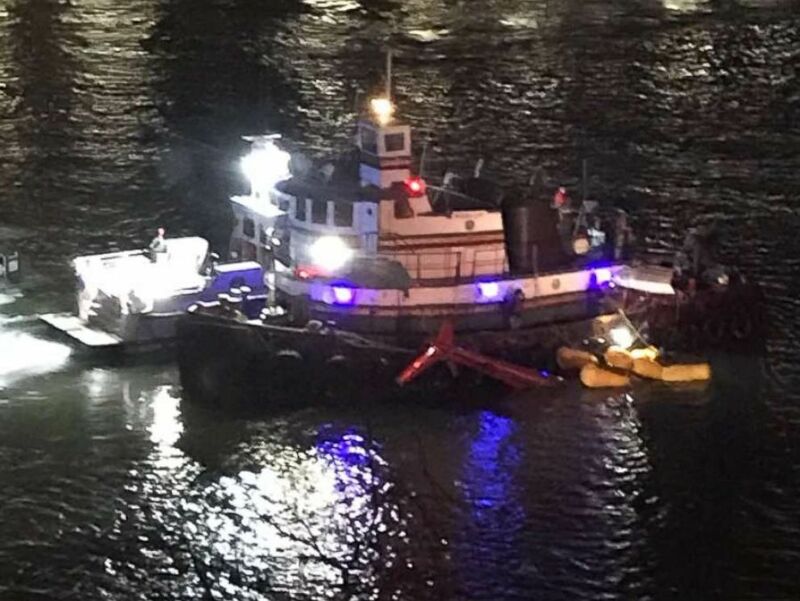 A boat on the scene where a helicopter crashed into the East River in New York City, March 11, 2018.